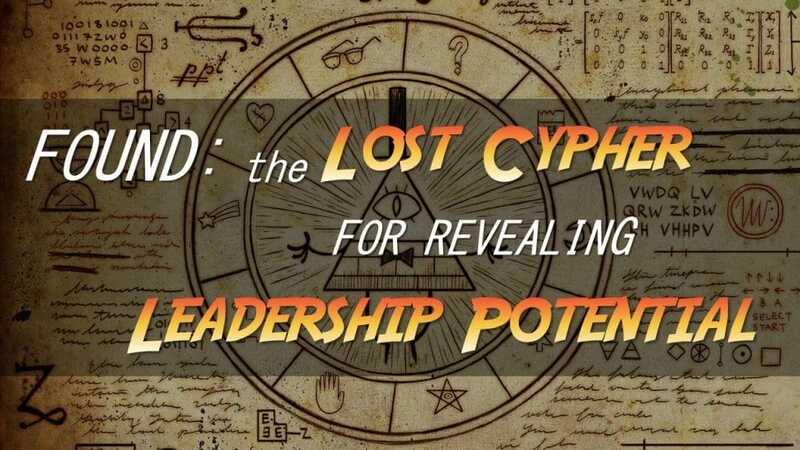 I sometimes ask executives and HR leaders: “If I could give you a magic ‘something’ to make leadership development easier, what would that magic something be?” By far, the most common request is for an effective leadership assessment tool—one that can actually determine if someone will be an effective leader. There are literally thousands of leadership assessment tools on the market, all of them claiming to do just that. 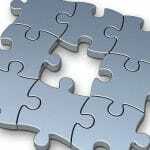 If such a silver bullet existed, it would indeed make promotion decisions and succession planning much easier. Lack of sensitivity to context. Personality assessments incorrectly assume that the way a person behaves in one situation is predictive of how they will behave in all situations. For example, I hate networking events where I’m expected to mingle in a large crowd. I suddenly feel like I’m 14 years old again at a school dance, overcome with panic, wanting to hide out in a bathroom stall! So if I had that in mind when I answered questions on a personality assessment about my social tendency, I’d be labeled as an introvert. But here’s the thing, if you put me at a table of 8 people, I’m fairly social. Better yet, put me on stage with a mic and a crowd of 200 people staring at me and I come alive! A personality assessment cannot ask the person being assessed how they will behave in every possible situation, so it must make assumptions based on the responses given, which may be entirely inaccurate depending on the circumstances. Validity and reliability of results. The Myers-Briggs Type Indicator (MBTI) is by far the most commonly used personality assessment for employee selection, placement, and counseling. However, researchers have shown that the MBTI has a 50% reliability after one month, meaning that if you retake the MBTI, there is a 50% chance that you will fall into a different personality category than the one you originally tested into. Other assessments may claim slightly higher reliability than the MBTI, but none of them are reliable enough that an organization should actually base promotion decisions on the results. Like a Phoenix, The Key Emerges From The Ashes of Frustration! One of the first companies I interviewed for my book, Succession Planning That Works was a mid-sized engineering firm. The director of HR agreed to meet with me. She was an intense woman with a no-nonsense temperament. As the interview progressed I could tell she was becoming more and more agitated with every question I asked. Finally, she blurted out “Michael, I can’t even get the partners to agree on a consistent criteria for promotion. How do you think we’re doing with succession planning? !” That pretty much ended the interview, but her observation was brilliant! How can you expect to identify, develop, and promote leaders if you don’t have a consistent criteria that you are basing your decisions upon? This criteria will help you distill the essential qualities (aka “competencies”) that differentiate good performance from superior performance. When an individual is in a leadership position, “superior performance” includes not only meeting or exceeding goals, but also includes metrics such as employee engagement (a measure of employees’ motivation and commitment), department turnover, and bench strength, all of which indicate whether the results are sustainable. When managers and all employees are clear on the few, simply stated characteristics that lead to superior performance, and when everyone knows that demonstrating those characteristics is the ticket to career advancement, a culture of high performance can take hold. And by the way, when I say a “few” characteristics that lead to superior performance, I don’t mean six or eight. I mean three or four. Research has shown that our brains can only effectively recall information in groups of about three or four, which is why phone numbers and credit card numbers are presented in groups of three and four. So if you actually want these characteristics to become part of corporate culture, fewer is better. Since the concept of “scientific management” was introduced at the turn of the nineteenth century, managers have become increasingly reliant on “objective” methods to measure employee’s performance. The fact that most organizations today have a performance rating system that assigns a single number to categorize individual performance is evidence that the pendulum has swung too far. One of the hallmarks of leadership is the ability to make tough decisions based on imperfect information. 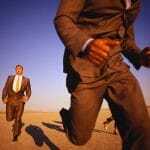 Basing promotion decisions on the results of a personality assessment is an abdication of leadership. No matter how you try to tackle it, deciding which people to prepare to become future leaders is a complex, imperfect process. But when a talent committee shares stories of how individuals have clearly demonstrated the characteristics of superior performance, and that committee comes to a consensus on who to prepare for future leadership advancement, those decisions are far more valid and defensible than those based primarily on personality assessment results. I am not saying that leadership assessments, including personality assessments, are not useful. When the succession process has become a habit, and when leadership development has become a key component of corporate culture, organizations can begin to introduce additional techniques to assess leadership potential. But those techniques are always supplementary to the talent committee’s evaluation of employees against simple, tried-and-true leadership competencies. One of the words you used in your article was CULTURE. That is where a personality assessment cannot be on any help. Being a good leader in one culture may not necessarily fly within another culture. If management identifys what their culture is and promotes those that FIT the culture I think there is a better chance for leaders to be successful. 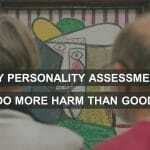 Also the biggest drawback to personality assessments are the words and the phrases used in the assessment. Since we all bring with us our own unique experiences, the same words or the same phrases will quite often trigger entirely different responses for each person. One of the best tools that I used as an HR professional when I was recruiting for a senior management position was to take the final one or two applicants out for supper (separately) with their spouse or significant other. Their defences were down of you learned a lot about them in a very casual setting. Thanks John. I think you’re bang on about the choice of words used in personality assessments. One more reason to be skeptical. Also, good point that the best way to get to know people is to have casual conversations with them. 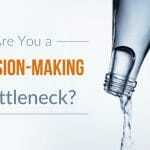 Are You a Decision-Making Bottleneck?